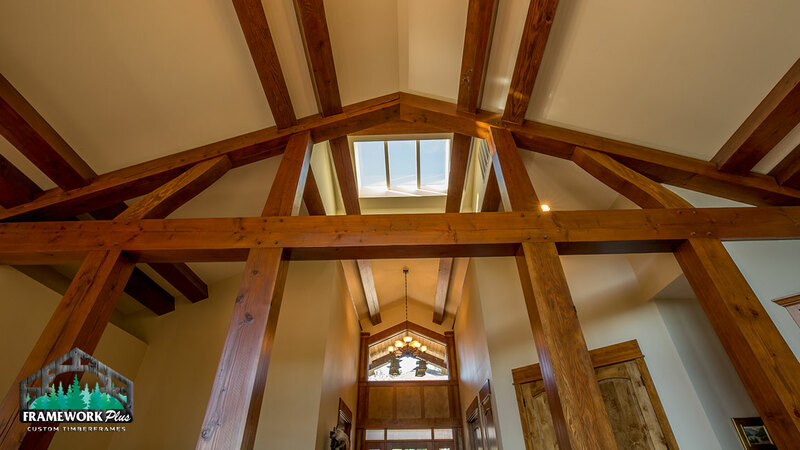 This custom hybrid home in Gresham, Oregon is a true structural hybrid timber frame house, from entryway to rear window wall. 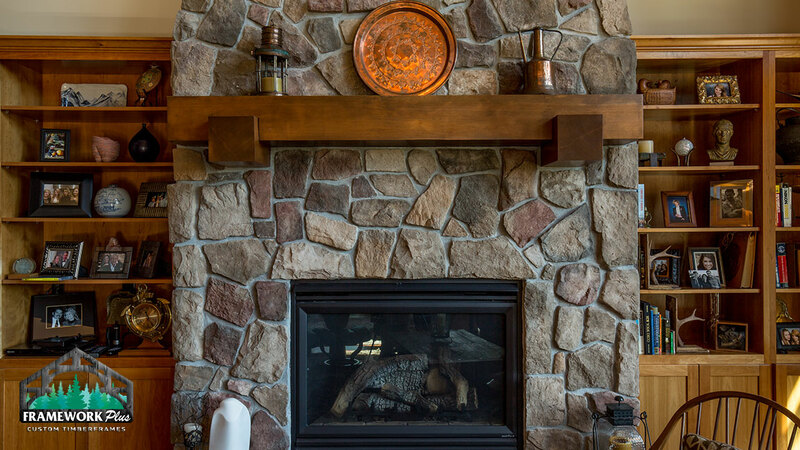 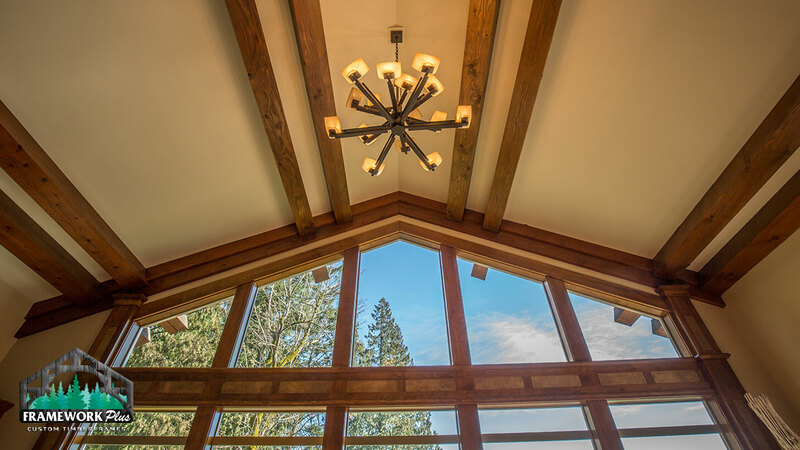 The hybrid home features a beautiful queen post truss timber frame entryway and a matching mantel above the interior fireplace. 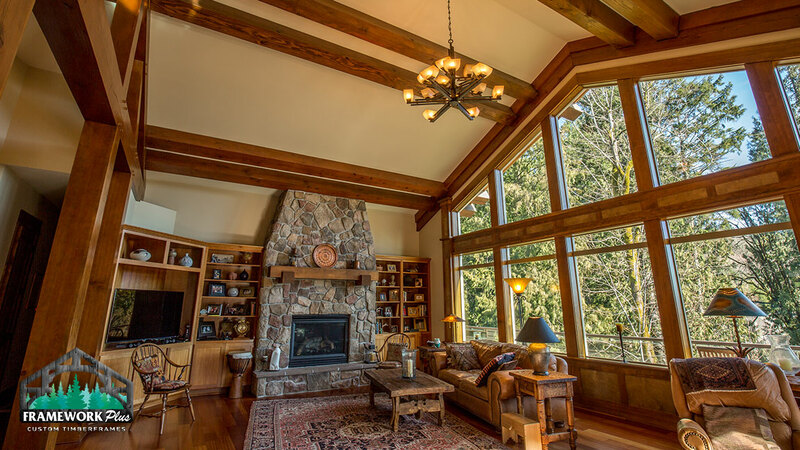 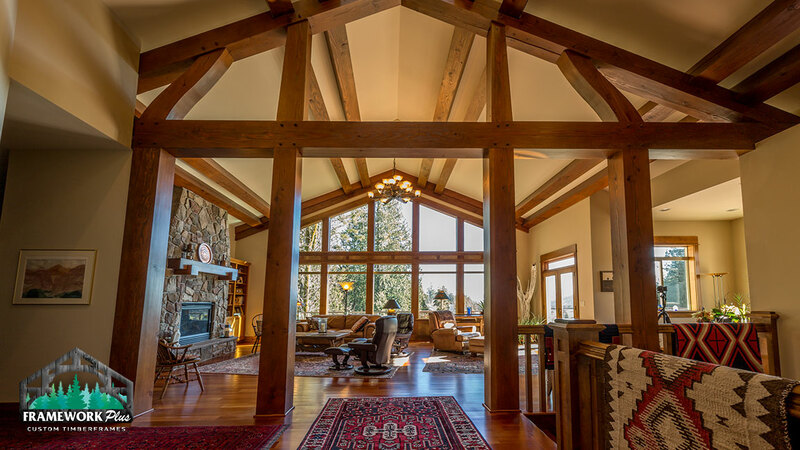 The beautiful timber trusses inside the home create a rustic, open feel to the living space.